Bernie’s interest in art has been a lifelong pursuit. Growing up on the Connecticut shore, he paints what he loves, the coastline and marshes where he spent many hours of his youth. After drawing his way through childhood, he attended the University of Connecticut and went on from there to continue his studies at the Lyme Academy of Fine Art. There he was awarded a John Stobart Fellowship as he received his BFA along with his first one man show in 1997. 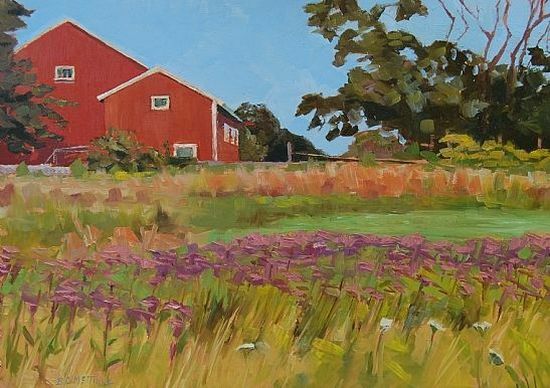 Whether working on the Connecticut coastline or in Northern New England, Canada and as far south as Maryland, Bernie creates scenes of natural beauty as seen through the eyes of an artist, revealing an understanding of nature and the environment His talents are not limited to landscapes. Portraits and still life works appear throughout his diverse portfolio. For more information about the artist go to: www.bernardmctigue.com.